I have been Crazy Crafting lately. Also busy with Artisan Fairs, etc. 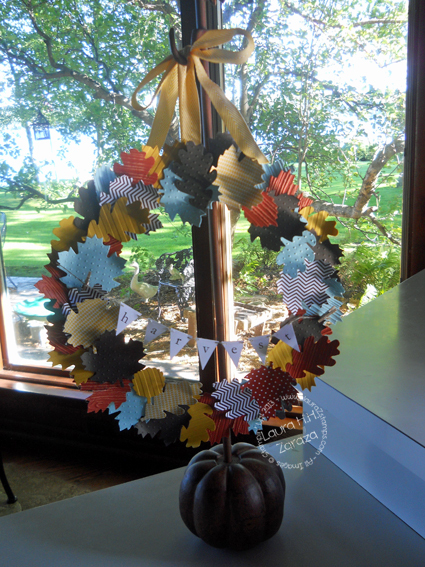 What I have for you today is my Autumn Harvest Wreath. This really looks great in person, not sure if the pictures do it justice. 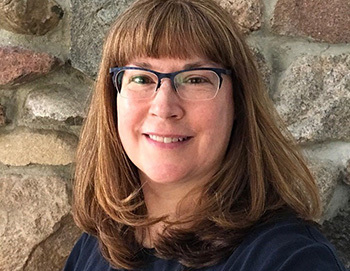 I will be teaching this class at a local Library-Delavan-Aram Public Library on October 3rd at 6:00PM-7:30PM. I made an extra one for me. 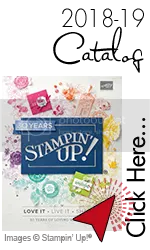 I CASED the idea from Stampin' Up!® on page 185 of the Current Idea Book and Catalog-2013-2014. So Cool. 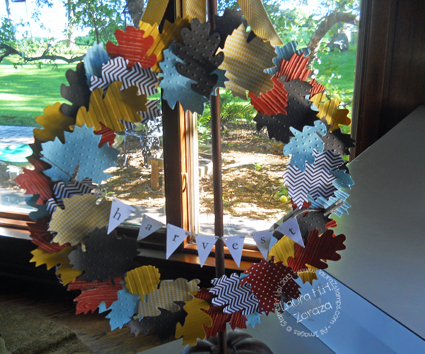 I wish you could see it in person-edges are curled, lots of texture and layers of leaves throughout the wreath. I am starting to want Apple Cider, but will wait until my traditional day of Autumn, September 22nd. Does this make you want to create something? Great. 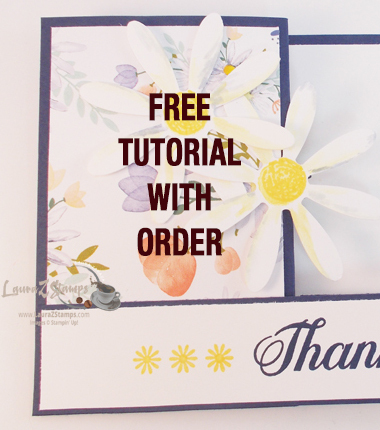 Join me for one of my local classes or place an order and get one of my Free Classes to Go sent to you in your email today.